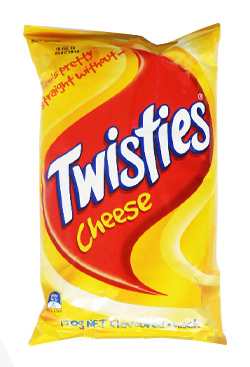 Twisties Cheese are Australians most popular snack. This cheese flavoured corn and rice snack has appealed to Aussies of all ages for over 60 years. Its cheesiness and crispiness makes this snack irresistible.